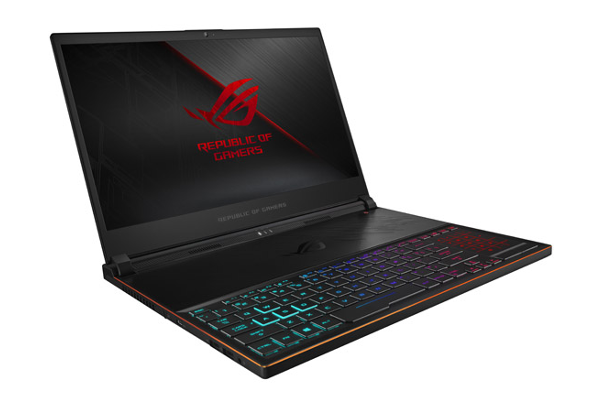 Asus ROG Zephyrus S (GX531GS) is the world's slimmest gaming laptop. Asus today announces ROG Zephyrus S, the world's slimmest gaming laptop. At a mere 14.95~15.75mm, the new ROG Zephyrus S is 12% thinner than the original. It features super-narrow bezels, 8th Generation Intel Core i7 six-core CPU and up to NVIDIA GeForce GTX 1070 with Max-Q Design GPU.